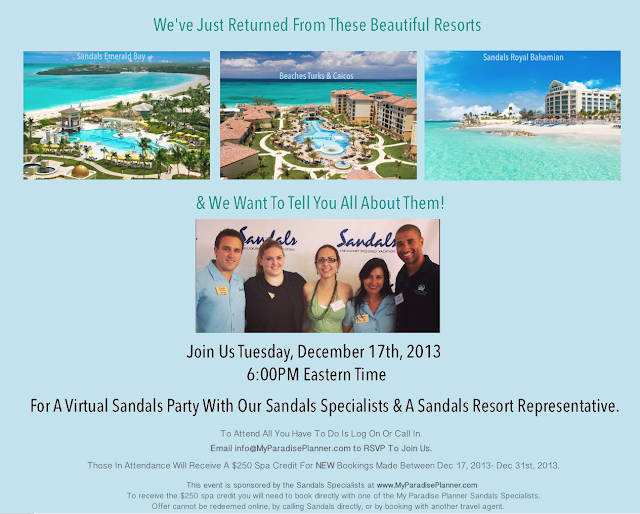 We're excited to announce our Sandals Virtual Party aka our Sandals Caribbean Night! 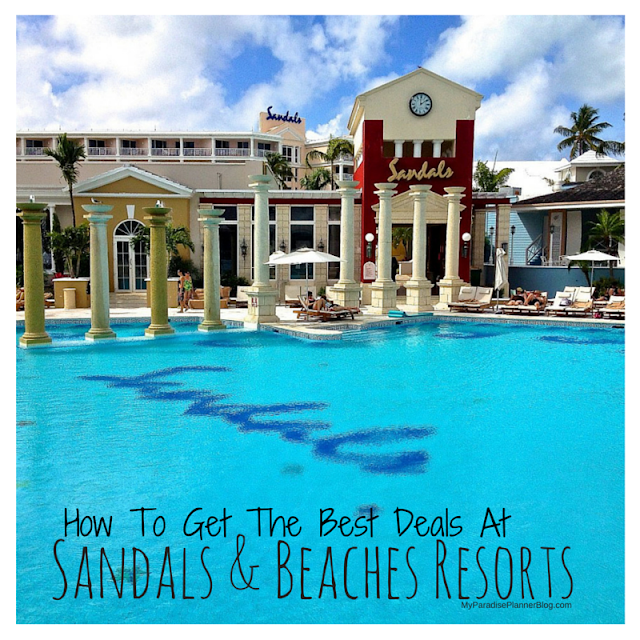 Join us on Tuesday December 17th at 6PM as our local Sandals and Beaches Resorts representatives fill us in on everything new with the resorts! All those in attendance will receive a $250 spa credit for NEW bookings made between Dec 17, 2013 - Dec 31st, 2013. All you have to do is attend. No webcam needed. Just log in and listen! 1. To log in online visit https://global.gotomeeting.com/join/121404389 on December 17th at 6:00PM Eastern Time. 2. Or to call in and listen by phone Dial +1 (267) 507-0008 and use Access Code: 121-404-389 Remember to MUTE your phone so we cannot hear you. 3) Attend using your Smart Phone: Click the link above to join this meeting from your iPhone®, iPad® or Android® device via the GoToMeeting app.